It establishes marketing’s value within the organization by setting expectations and demonstrating how marketing has met or exceeded those expectations. Reporting can make or break a promotion because, if executed properly, it makes you look good in front of the decision-makers. Marketers can earn more budget because reports prove what you are doing is effective. Good reporting showcases the department’s value within an organization because it provides a good track record. Reporting displays to the C-suite that you are a focused financial steward and you are able to report on ROI, which is the most important metric to stakeholders. This report splits your investment between revenue-generating investment (ROI) and capital-investments (assets). It provides insights that extend beyond the marketing department and can be applied to the entire organization. ROI is the primary component of effective reporting because organizations think in terms of money – not leads. However, there is a lag time between our marketing activities and ROI. Because of this, ROI can only be reported after the sale has occurred. For most markets this is 3-12 months AFTER the marketing program. We report on projected revenue because of the lag time between our actions and the realization of the sale our actions influenced. Projected revenue is the actual estimates of future performance based on KPI’s. Marketers can use key performance indicators (KPIs) to predict revenue. KPIs are leading indicators of future performance. There is a direct correlation between the trajectory of the KPI and overall performance. Find metrics that correlate to revenue. Look backwards 3-12 months, depending on your sales cycle, and identify a strong correlation between KPI and revenue. KPIs could be initial sales meetings, product demos, free trials, sample requests. Short-term assets include: media, creative and payroll. Long-term assets include brand, content and data. Reporting on long- and short-term assets demonstrates where marketing dollars are going, and shows how they are important to future growth and profitability. Insights are a new piece of information that adds value to the organization as a whole. They are the most universally valuable. Reporting on insights takes marketing out of a demand generation role and puts us into a leadership role with the rest of the company. Include a high-level summary that focuses on what the C-suite, executive team, investors, or other departments care about. Group ROI/revenue reporting by program or maximum insights. Different levels can be reported, however, in our experience it works best to look at major audience segmentation and report on each objective. One page high-level summary for each program to show what the organization is getting for its investment. Include metrics such as investment, impressions, sessions (engagements), KPIs (varies by business). Show KPIs that contribute to projected revenue and ROI. Graph the most important metrics to you to show a trend over time, not just one point in time. Share long-term assets such as: addressable market (total cookies and leads), brand and content. Add insights that apply to the organization as a whole. Reporting is valuable to your department, stakeholders and on a personal level when it comes to job performance. 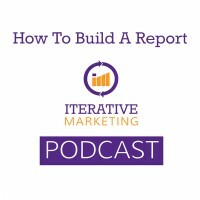 The components of a report are ROI, Projected Revenue, KPIs, Assets and Insights.